AMSTERDAM--(BUSINESS WIRE)--Design SHIFT has collaborated with Geneva-based STMicroelectronics (ST) to integrate ST’s ST54D NFC controller in its groundbreaking privacy appliance, ORWL. This small circular device uses two-factor authentication—a physical key and a password— along with tamper-proof physical hardware to protect people’s personal information and communications from being physically hacked. ORWL includes a failsafe kill-switch never before offered to consumers. Any attempt to break into ORWL prevents the device from booting up and shuts it down immediately, like a bank vault. No other security offering delivers this level of protection. Most importantly, tampering with the ORWL device or attempting a physical breach prevents the device from booting up, instantly securing all of the user’s data and communications like a bank vault that only the user can open. 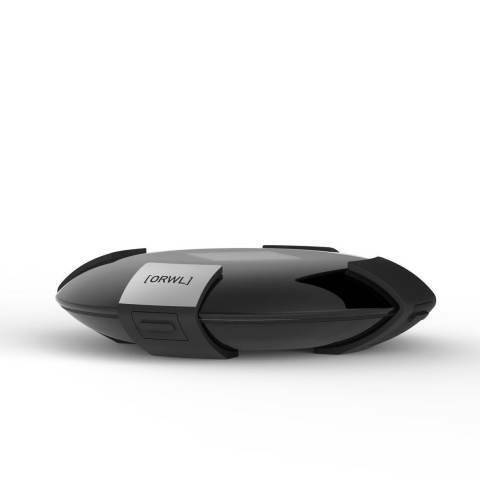 The ORWL device is slated to ship Spring of 2016. For more information visit www.design-shift.com.